An Online MBA Degree Isn’t for Everyone. Is it Right for You? A recent book review of mine for the Personal MBA is one that is typical at creating some disagreement (which the author writes about as well) and whether you agree or not with gaining a personal MBA, other options are the classic school program and of course an online program. 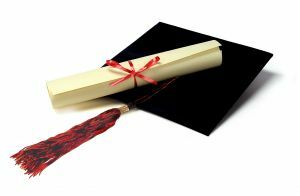 This week I have a guest post considering some of the factors you should know about online degree programs and so I hope you find it useful and leave comments with your own thoughts, questions or opinions. 1. There’s still a stigma attached to online programs. Completely notwithstanding the increasingly improving quality of online programs across different fields, many employers still don’t value online degrees, especially employers who work for long-established traditional companies. It’s really that simple. A quick glance through a Business Week forum, “Do Employers Value Online MBA Graduates?,” proves my point. Of course, not all employers see it that way, but before even considering pursuing an online business degree program or course, check with leaders of different companies you could envision yourself working for and ask. Do it now. 2. Online MBAs are worth it if you choose the right program. Now that you’ve gotten a feel for which employers would look favorably toward an online MBA degree, there’s a whole lot more research involved. To be quite honest, for-profit online MBA degrees, such as those offered by University of Phoenix and Kaplan, can be just as expensive as traditional degrees and offer half the brand recognition and support. The best option for those seeking an online MBA degree is looking at “brick-and-mortar” programs which offer online degrees in additional to the traditional MBA. Some examples of schools offering online programs like this include University of North Carolina’s Kenan-Flagler Business School and the University of Illinois’ Kelley School of Business. 3. An online MBA degree is more favorable under very specific conditions. If we could all afford the tuition and time off from work and family responsibilities, then I’d enjoin everyone in business to go out there, take a few years off, and get an MBA degree from the most competitive school that they can get into. But time and money are precious. For those of you whose time and money are indispensable—perhaps you have several kids or you can’t afford to be out of the job market for a couple of years—then an online MBA from a good, accredited school may be exactly what you need. After all, the greatest benefit of pursuing an online MBA versus a traditional MBA is that A), it’s often much cheaper, B) you can still work while pursuing the degree, and C) you don’t have to be in-residence the whole time, meaning you can still spend quality time with your family without having to relocate them elsewhere. 4. Sometimes an MBA degree makes a difference in your job search. Sometimes it doesn’t. Whatever you do, don’t be hypnotized by those who are trying to sell you an MBA, whether it’s an online degree, fake college diplomas or a traditional one. Those who do best in MBA programs are those who understand what an MBA can do for you, and, more importantly, what an MBA can’t do for you. For many positions, an employer values work experience over a degree. For other employers, sometimes having an MBA listed on your resume is what keeps you from being thrown in the “rejects” pile, as blogger DJ Drummond notes in his personal online MBA story. Whatever you end up deciding, don’t make impulse decisions. Do the research. Ask employers what they’re looking for. Go over all decisions with family members and trusted friends. An online MBA degree may be the right thing for you, but you’ll have to put some time in first to find out. Good luck! Lauren Bailey is a freelance blogger who loves writing about education, new technology, lifestyle and health. As an education writer, she works to provide helpful information on the best online colleges and courses and welcomes comments and questions via email at blauren 99 @gmail.com. I have done MBA in distance. But I am not getting jobs related to it. Hope I will get job related to it soon. It seems like everyone these days views an MBA as simply a hoop you jump through to be eligible for a C-suite job. Since that is becoming less and less true, and reputation of school and networking are the two biggest benefits to getting an MBA, everyone seems to have forgotten the point of a master’s degree: to learn something on and beyond your bachelor’s degree. Learning has a lot of methods though, school is just not the only way nor the best way for many people to extend their knowledge and learnings after your bachelor’s degree. Options for both methods still exist, self learners may want to explore their own, like I would prefer, since school is not a good learning environment for me. I do much better by application, practice and real world use and learning. I think you make a great point that you don’t always need formal education to make it as an entrepreneur. Yes, online mba is right for me because i have finished bba.